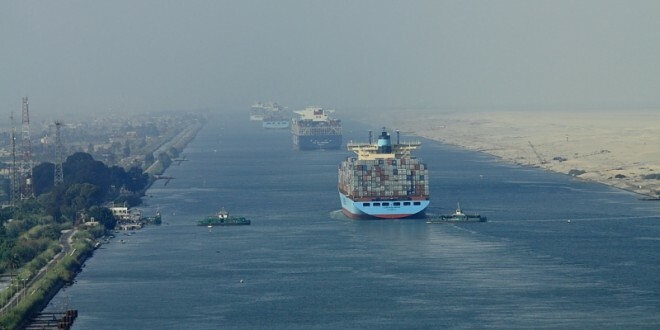 Head of Suez Canal authority Friday indicated that it would be illegal to ban Qatari ships from using the canal passage but that Egypt can deny ships docking as part of its sovereignty over its territorial waters. Saudi Arabia, the United Arab Emirates (UAE), Bahrain and Egypt have severed diplomatic ties with Qatar over accusations of terrorism funding. The bloc has also imposed sea, air and land blockades against the tiny gulf country. Mohab Mamish, chairman of the Suez Canal authority, told the media that Egypt’s ban on the ships is being imposed on all ports within the zone based on Egyptian sovereignty over its territorial waters. The decision, however, does not include a ban on passing through the canal, as under the Constantinople 1869 agreement it is illegal to ban ships coming from any country from passing through, he said. The Suez Canal linking the Red Sea to the Mediterranean is one of the world’s most used sea corridors and accounts for 10 per cent of world’s sea trade operations. Banning Qatari ships from docking at ports along the corridor will not affect Egypt’s economy, Mamish noted pointedly adding that only few Qatari ships already use the passage. Written by: KanelkaTagba on July 8, 2017. Last revised by: Jaber Ali, our reviewer, on July 9, 2017. Posted by KanelkaTagba on Jul 8 2017. Filed under Gulf News, Headlines. You can follow any responses to this entry through the RSS 2.0. Both comments and pings are currently closed.